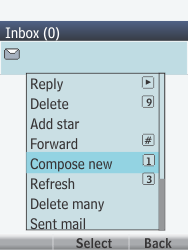 Select an e-mail account, and press the Select key. 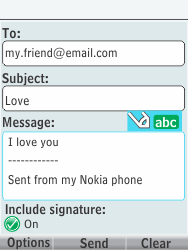 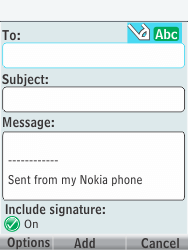 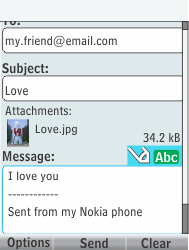 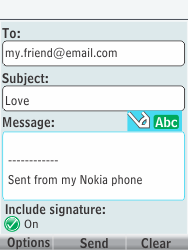 To write a message, select Compose new, and press the Select key. 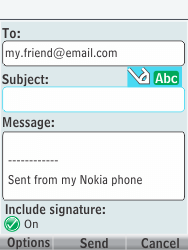 Under To, enter an e-mail address, or (in this case) press the Add key. 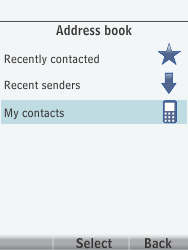 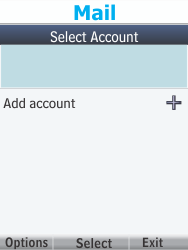 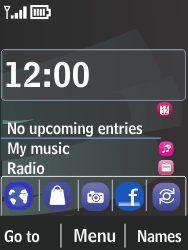 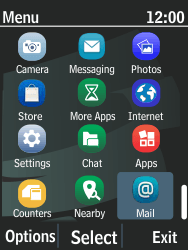 Select an option, in this case My contacts, and press the Select key. 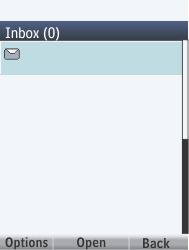 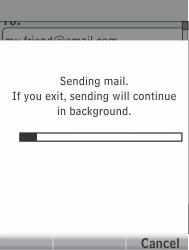 Under Message, enter a message. 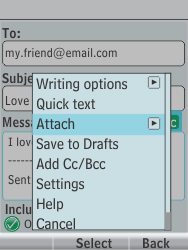 Select Attach, and press the Select key. Select an option, in this case From Gallery, and press the Select key. 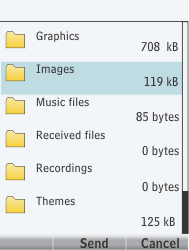 Select a folder, and press the Select key. 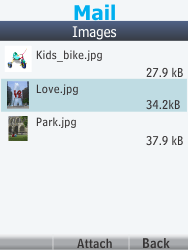 Select a picture, and press the Attach key.